If you are interested in participating, please send a brief abstract of 300 words to bnacstudyday@gmail.com by Saturday 8th March 2014. In keeping with previous study days, only abstracts will be circulated in advance, with full papers presented on the day. 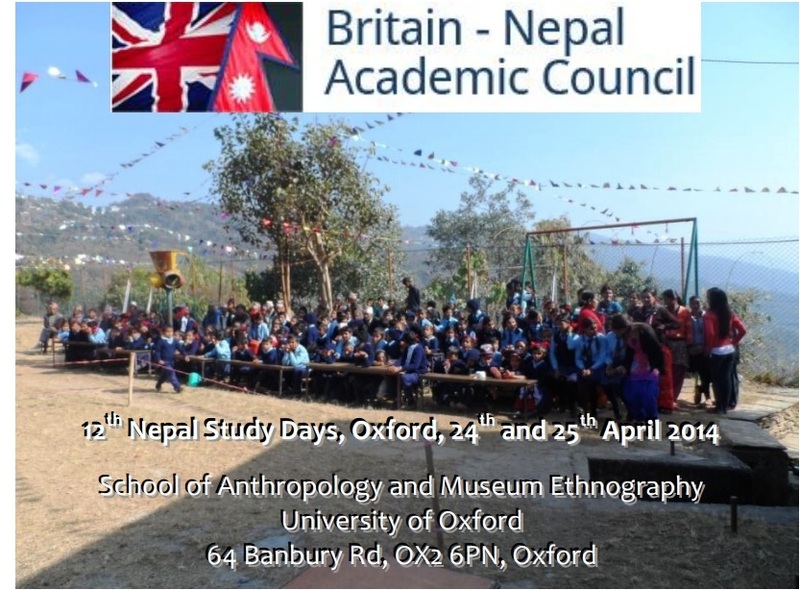 Members of BNAC may attend the Nepal Study Day for free, though we ask for a contribution of £5 towards the costs of the lunches. For non-members the attendance fee is £25, which will include lunch on both days. We encourage prospective participants to apply for or renew their membership in time to be eligible for free registration. Details about BNAC membership are available at www.bnac.ac.uk/membership/. We hope to be in a position to offer small bursaries towards travel costs to students whose presentations are accepted. Deadline to submit abstracts: 8th March 2014. Deadline to register for those who are not presenting a paper but want to participate: 15 April 2014. Or check out B&Bs on http://www.visitoxfordandoxfordshire.com/ or look on TripAdvisor.